David Méndez in the individual, the Peña los Rocheros in the women’s suit and the Peña El Puntillo in the men’s suit. 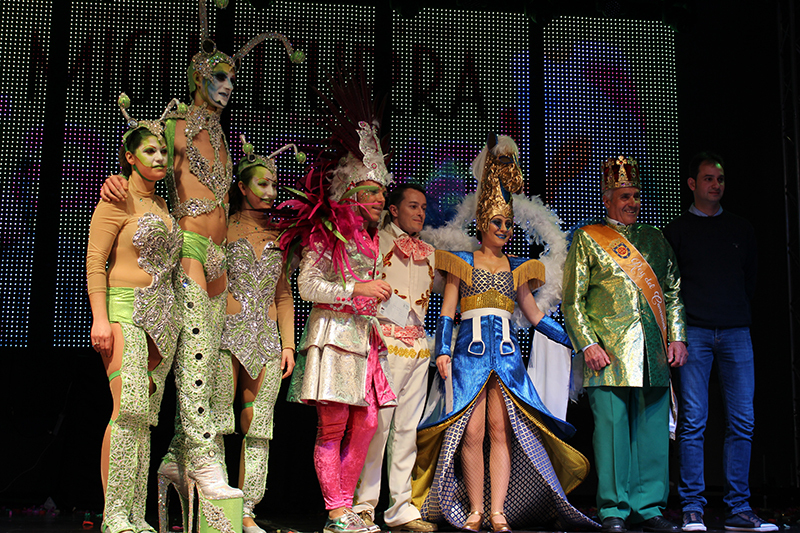 Once again the Palace of the Carnival, is again filled to witness the XXXII Costumes Museum Carnival contest. 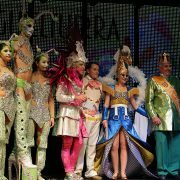 The winners in men and women, will give during 5 years the costumes for the Museum of the Momo Carnival and the individual, during a year. The fantasy Imperium of the Peña Los Rocheros, won the first prize of 400 euros in the category of women and the Peña El Puntillo with the fantasy “A place where fantasy became reality”, was the winner in the category of men , with a prize of 350 euros. Both prizes have been sponsored by the City Council of Miguelturra. As for the individual suit, the prize was for David Méndez and his fantasy “The retro-morphosis Monarch butterfly”, prize of 200 euros sponsored by Certrade.